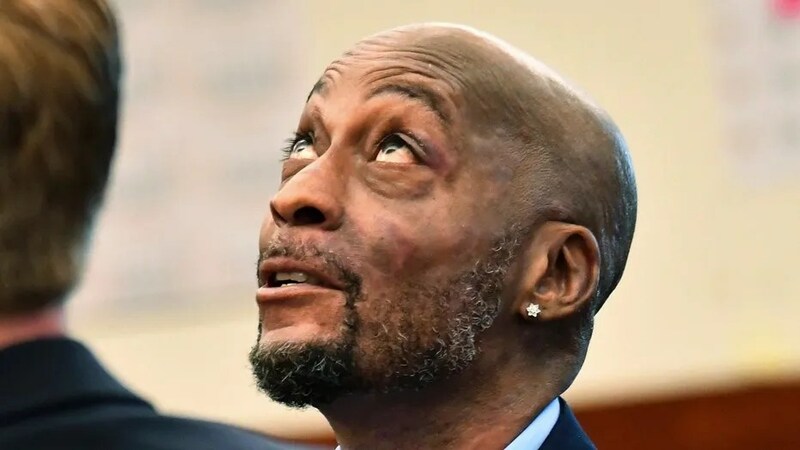 A California man dying of cancer was awarded $289 million after a jury ruled that a popular weed killer product gave him cancer. DeWayne Johnson, a groundskeeper at a San Francisco Bay Area school district, sprayed large quantities of the product, sold under the brand name Roundup, from a 50-gallon tank attached to a truck during gusty winds. He said the product would often cover his face, and one time, when a hose broke, his whole body was covered. According to his attorneys, Johnson read the label and even contacted the company after developing a rash but was never warned it could cause cancer. In 2014, at the age of 42, he was told he had non-Hodgkin’s lymphoma. A spokesman for Monsanto, the company behind Roundup, said the agribusiness will appeal the ruling. Monsanto has denied a link between the active ingredient in Roundup — glyphosate — and cancer, saying hundreds of studies have established that glyphosate is safe. George Lombardi, an attorney for the company, also argues that Johnson’s illness takes years to develop, so it must have started well before he began working at the school district. Nevertheless, jurors in State Superior Court ruled in favor of Johnson, convinced that the product contributed to his cancer and that the company should have provided a label warning about the potential health hazard. He was awarded $39 million in compensatory damages and $250 million in punitive damages. The Environmental Protection Agency has said that Roundup’s active ingredient is safe for people when used in accordance with label directions, but the France-based International Agency for Research on Cancer, which is part of the World Health Organization, classified it as a “probable human carcinogen” in 2015. California added glyphosate to its list of chemicals known to cause cancer.